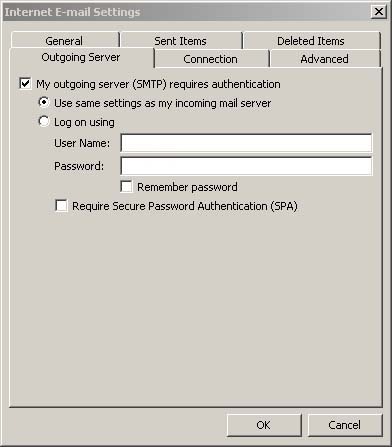 Portal Home > Knowledgebase > Email > How do I setup my email in Microsoft Outlook 2010? Go to File -> Info -> Add Account. 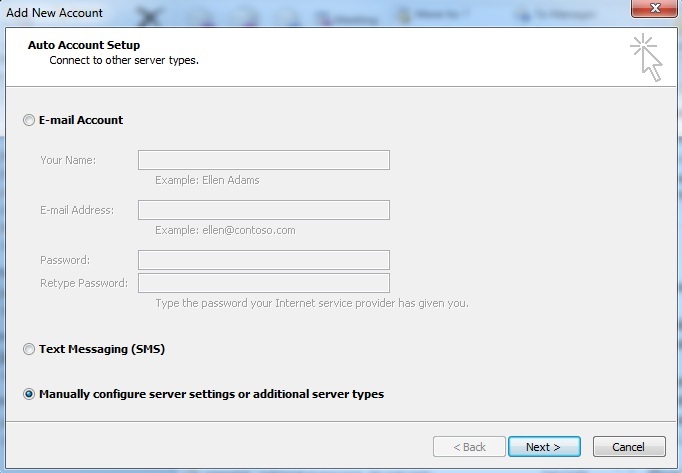 Select the "Manually configure server settings or additional server types" radio button and click "Next"
Select the "Internet E-mail" radio button and click "Next". Your Name - The name you want to appear on outgoing email. 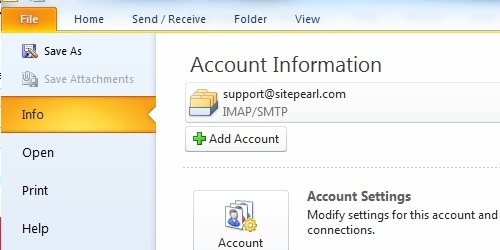 E-mail address - Your email address. 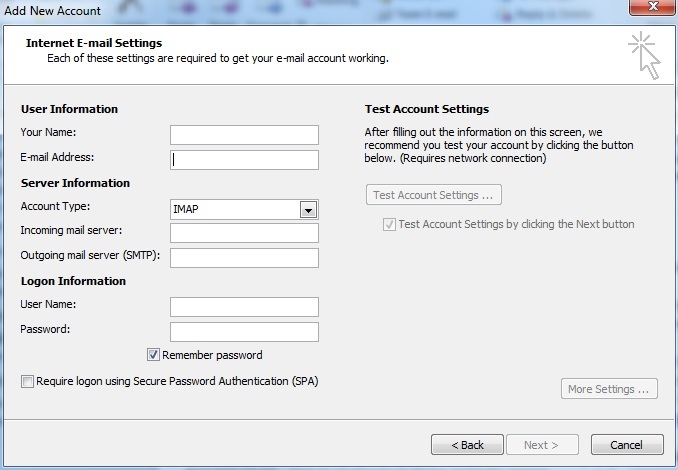 Account Type - Select "IMAP"
Incoming mail server - This will be mail.yourdomain.com, where yourdomain.com is the domain of your email account. 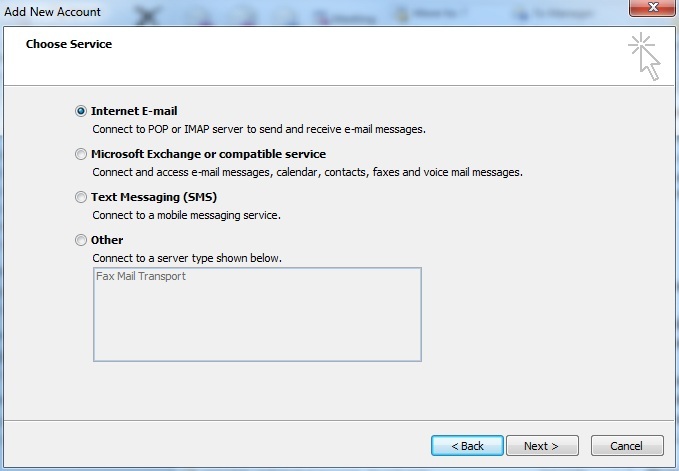 Outgoing mail server (SMTP) - This will also be mail.yourdomain.com, where yourdomain.com is the domain of your email account. User Name - This will be your full email address. Password - Password for your email account. Select the 'Outgoing Server' tab.